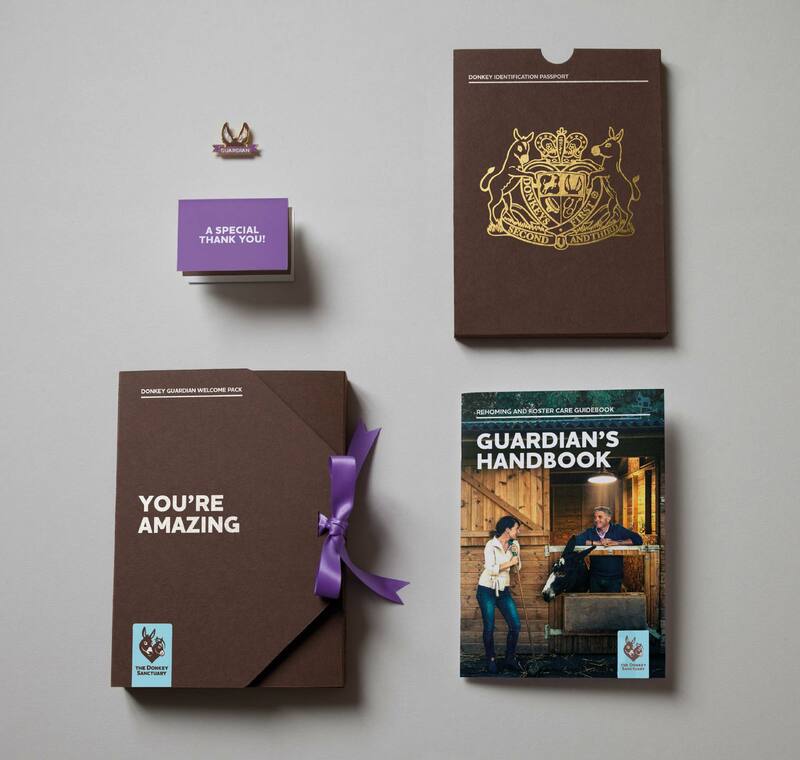 Every Guardian receives a gift pack full of information to help them bond and take care of their new donkeys. It also includes a beautifully crafted donkey passport. The Guardians badge, and icon for the campaign. 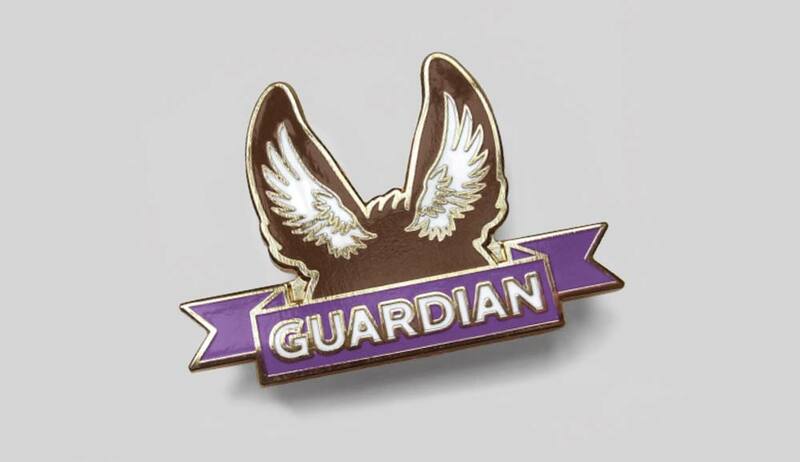 Only Donkey Guardians get to wear their ears, which also subtly contain Guardian ‘wings’. 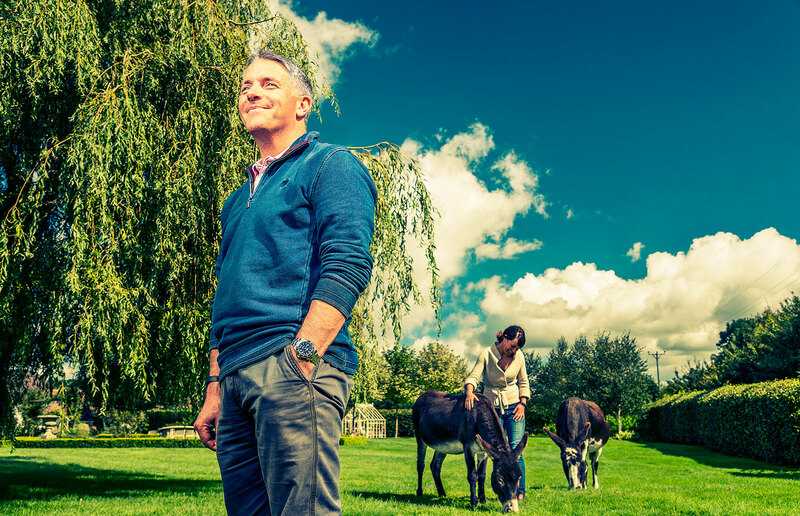 The Donkey Sanctuary is an international charity that works in 30 countries and has a simple mission – to improve the lives of donkeys and mules through care, welfare and community education, and by doing so also improve the lives of their owners. Within their five major international projects they touch the lives of 1.5 million donkeys. Unfortunately more and more donkeys are being abandoned and require new homes. Finding new homes for these donkeys with caring supporters is a vital part of The Donkey Sanctuary’s work. 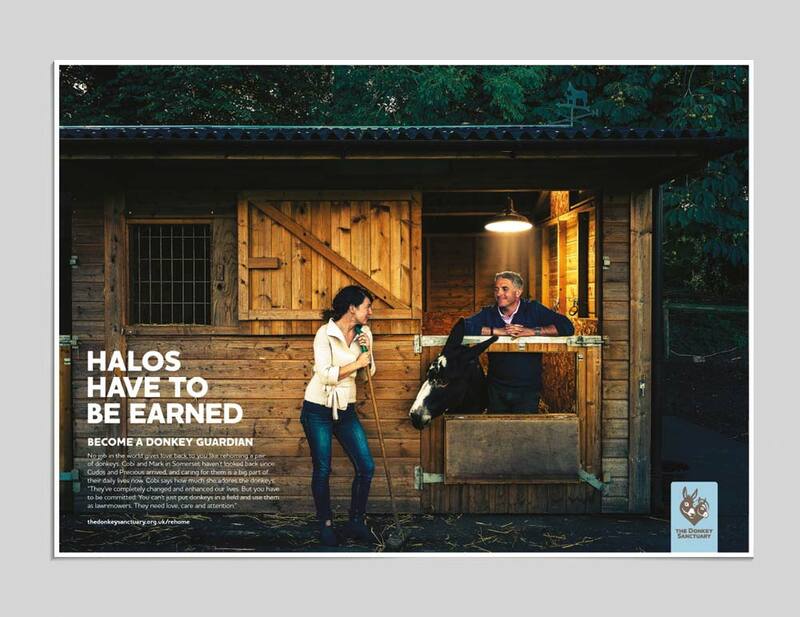 We were asked to develop a proposition and campaign to encourage more people in the UK to come forward to foster pairs of donkeys. 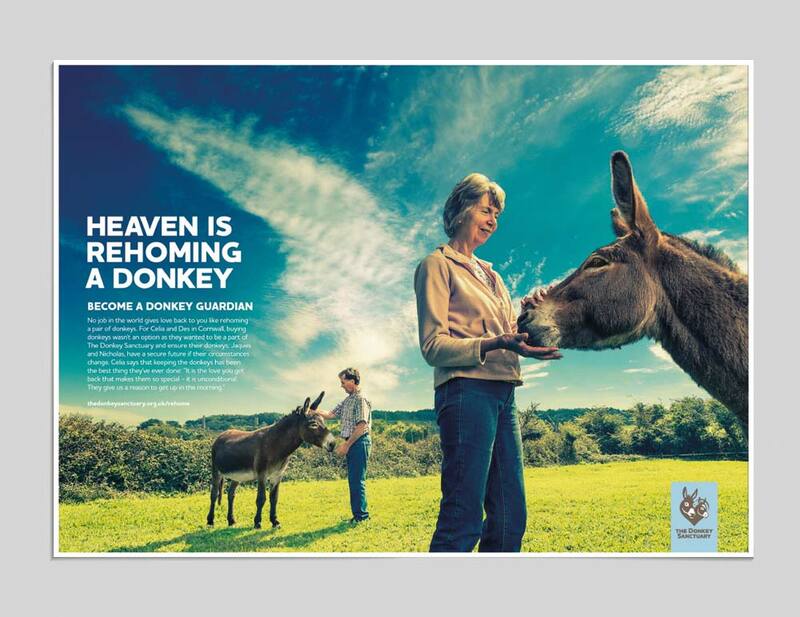 To reflect the obvious devotion of the people who foster donkeys we came up with an idea that positioned these special supporters as GUARDIAN angels. 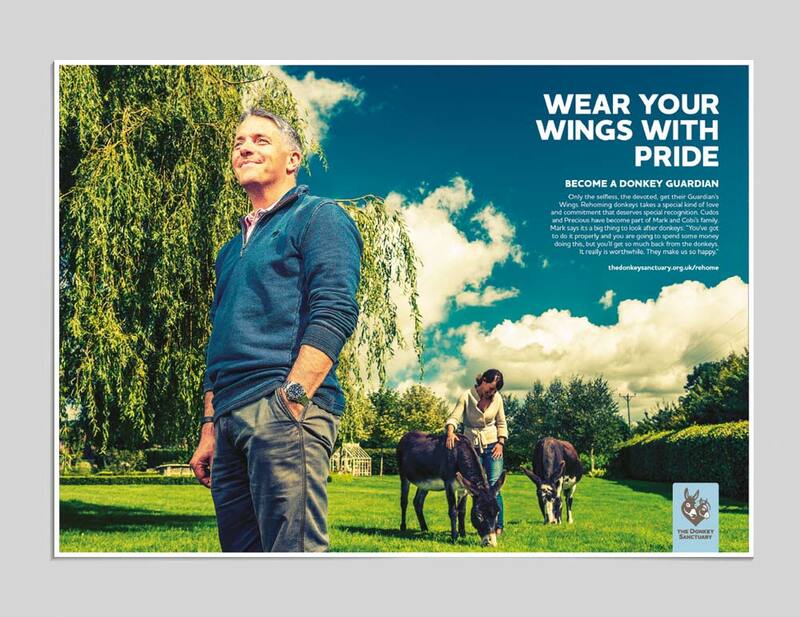 The ‘Donkey Guardians’ were commemorated through emotional storytelling which was used on posters, and in advertising to promote membership to this very special club where Guardians could earn their wings (a special enamel badge where the donkey’s ears become wings). 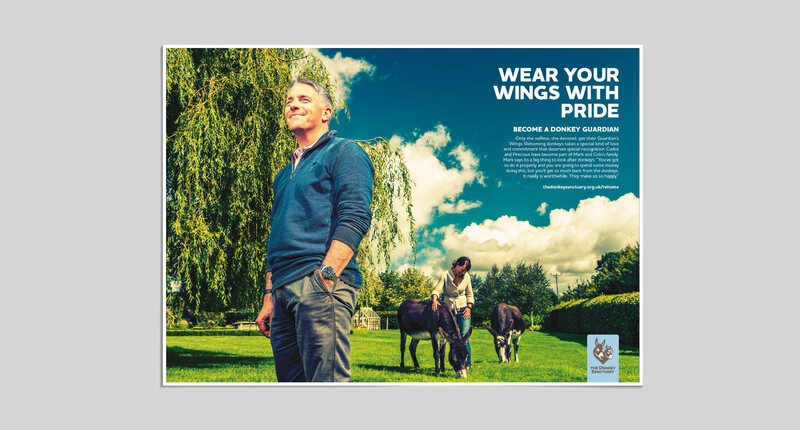 The campaign imagery was carefully crafted so the foster parents appeared to have angels wings. Most of this was achieved in-camera. 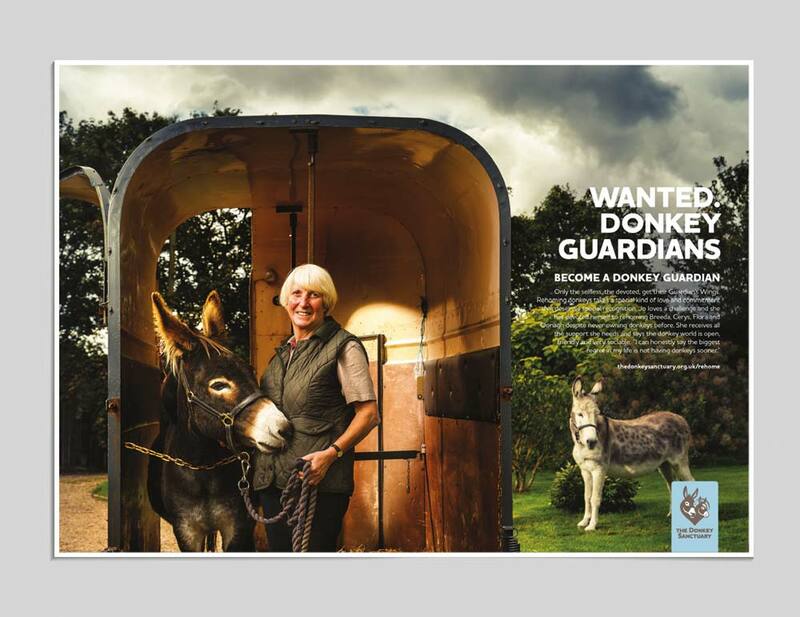 The Guardian campaign used a poster series of the wonderful stories of the devoted donkey foster parents. Can you spot the ‘wings’? How do you motivate and engage people to step up and lovingly adopt a pair of donkeys, desperately in need of care and attention? 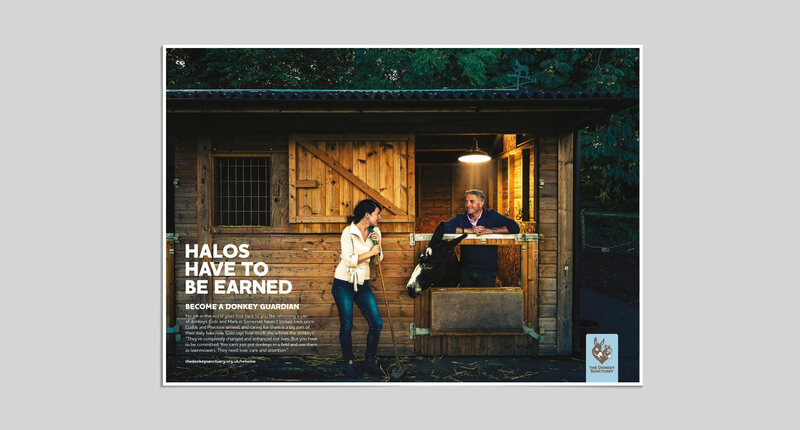 Here's how The Donkey Sanctuary and The Allotment created a brand new rehoming scheme, positioning these special supporters as Guardians.